Welcome to RandoGuide.com! 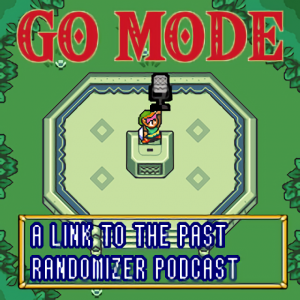 This site was created in order to answer questions about aLttP Randomizer. My name is timp and I’ve been watching alttp rando for almost a year now. I love watching the tournament races on Twitch and YouTube, but when I first started watching, I noticed that the commentators were using a lot of phrases that I didn’t recognize. I think I’ve figured out most of the phrases and lingo by now, so I thought a website that is easy to search and answers questions about the lingo could be useful to newer runners and watchers. I decided to name this site randoguide.com instead of something like randomizerglossary or randoglossary for a few reasons: 1. It’s shorter and easier to remember, 2. The website may expand to include more than just lingo and term definitions, and 3. It could even expand to include resources for other popular randomizer speedgames like Legend of Zelda Randomizer, Super Metroid Randomizer, or more. That being said, the Glossary will be the first thing worked on when I can, and submissions are welcome. Check out the Glossary to see current progress, and feel free to submit suggestions for words and terms to add. I can’t do this all on my own! If you would like to suggest resources to be added to this site, please use the form below to send them in. I can’t promise I’ll add everything added, but I’m definitely looking for help filling this site out.